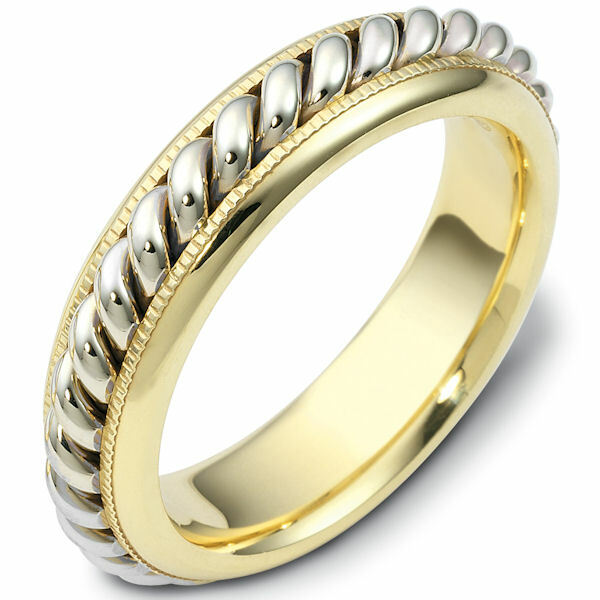 Platinum and 18kt yellow gold hand crafted, comfort fit, 6.0mm wide wedding band. There is one hand crafted rope in the center that has a polished finish. The whole ring is polished. Different finishes may be selected or specified. After 20 years together it is finally legal in North Carolina to tie the knot. We searched for rings but the selection at local jewelers were seriously lacking when it came to rings for men. 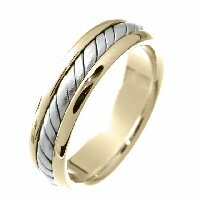 So we decided to give a look online and found a great selection at WeddingBands.com that were available in both white gold and yellow gold-- since we didnt want matchy-matchy rings. 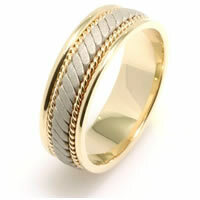 His was a simple rounded white gold in a matte finish mine is wider brushed yellow gold. They are fine quality and very heavy. We placed the order. And within a week we had them ready for our trip to the courthouse. But I ordered mine too big and it was easy to ship back and have a new one shipped. It arrived in only 3 days! Amazing. Thanks for helping make our 20th year -- and first -- a day we remember every day. Could not be happier with our purchase from WeddingBands. Thank you guys so much for making our special day even better. 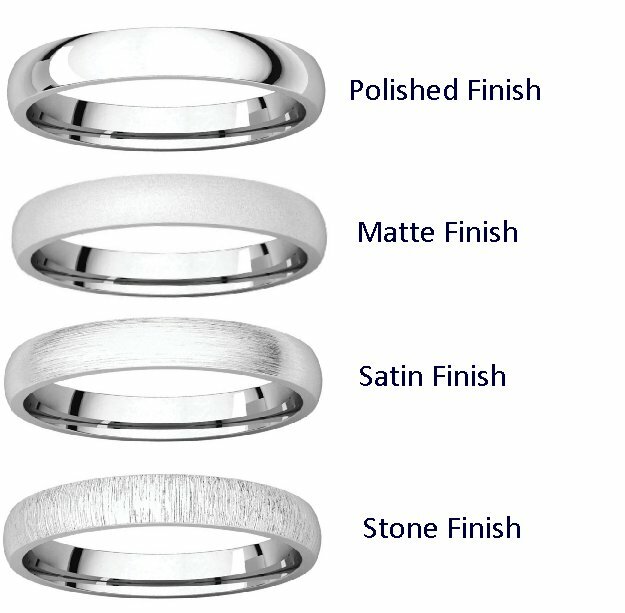 The rings look exactly the way they were described and we were not disappointed.The engraving is well done . Just speechless and happy. Many thanks again. The rings arrived on time and were just as they looked on the website. The price is very competitive. 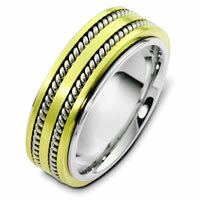 we highly recommend WeddingBands for your marriage bands. My fiance and I decided to move up our wedding date and needed the rings in a hurry. The rings were shipped within 24 hours of the order. 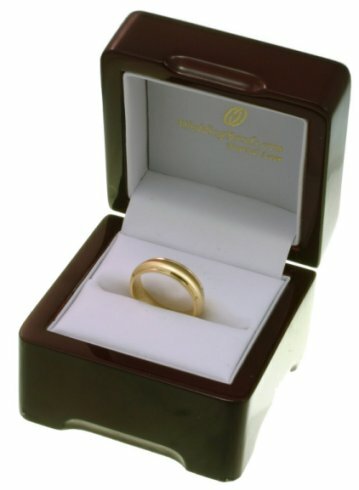 The customer service staff were very pleasant and our rings arrived on time. I would recommend doing business with this company. Their customer service department was very courteous and helpful.